Well, then, you’ve got to carefully think of all the different ways through which you’ll manage global roaming. That’s where you’ll think of getting a reliable prepaid world SIM card. But what’s a “reliable” universal SIM card, huh? Well, the reliability of any international prepaid SIM solution is judged by the level of value it’s offering to its users. Right now, you’ll find international SIM cards that will offer either good coverage or affordability. But these SIM cards break a sweat the moment they’ve got to offer both of these two things. That’s basically where Pix World comes into play. Pix World does two things well so that international travelers like you stay connected with their folks back home all the time. The first thing is that Pix World offers best-in-class connectivity in more than 220 cruise ships and over 193 countries. And that’s possible because of this telecom service provider’s network. This network is huge because it has more than 150 telecom operators. And, best of all, each of these operators works on high-speed 3G and 4G coverage. 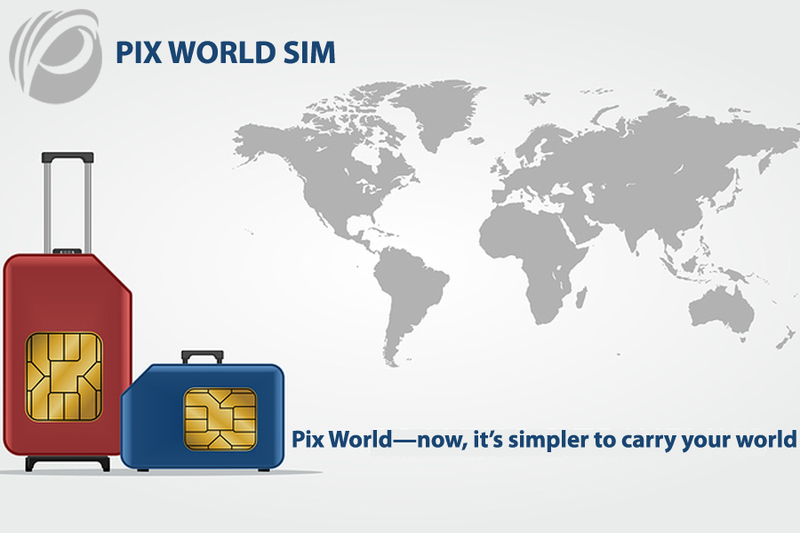 This way, when your unlocked device will carry a SIM card from Pix World, you won’t feel any glitch whatsoever. The best part, however, is yet to come. See, this sort of coverage might cost a bomb if you buy it from a telecom service provider except for Pix World. But since Pix World is concerned about making wireless freedom economical, it’s got a slew of affordable wireless plans. Also, if you stick to a wireless plan from Pix World, you’ll easily save more than 120 percent of your roaming charges. So, what’s the wait for? If you’ve got Pix World in your corner, then global roaming won’t be a problem for you. Ever.